The fairways have been carved out of a mature forest and offer a spectacularly picturesque and natural setting, with each hole uniquely separated from the next. We are a 9 hole golf course with a difference! With separate blue, white and red tee boxes on each hole, placed at different angles, the golfer can play 18 holes – choosing a different tee box for the back nine – thus gaining an entirely different perspective on the course. This course is excellent for golfers of all skill levels. Shot placement is uppermost here and club management is essential. Carefully planned sand traps and water hazards reward the accurate golfer. To find Grouse Nest, travel west towards Wabamun (from Edmonton, Spruce Grove or Stony Plain) on Highway 16 to Range Road 31. Turn north and drive just over 2 km. Grouse Nest is on the left. 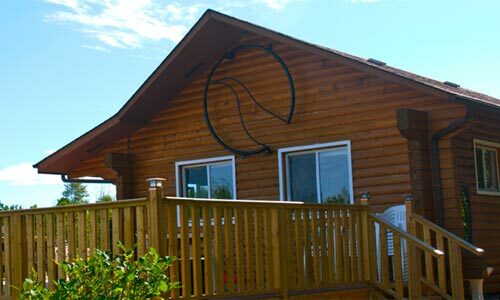 Just 35 minutes from Edmonton, and only a short distance from Wabamun Provincial Park, Grouse Nest is conveniently located. We at Grouse Nest want our golfers to enjoy themselves. Our friendly staff know that your comfort is of paramount importance. We want you to remember your golf experience at Grouse Nest as being one filled with relaxation in a friendly atmosphere. A family owned and operated course, Grouse Nest demonstrates the care and attention of your hosts.